Have you ever experienced a time when you're ready to pull the trigger on something you've planned for months, only to find you have no peace about your decision? That's where Captain and I were at the end of June as we were preparing to move forward with the building of our little red cottage -- Cottage #3. 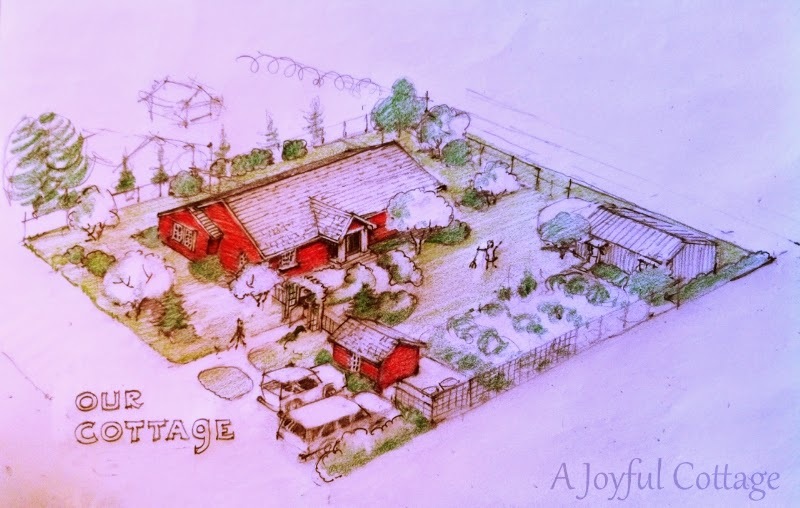 To date I've shown you the preliminary plans for Cottage #1 and Cottage #2, and I showed you the rendering of Cottage #3 in my post Designing Our New Cottage. 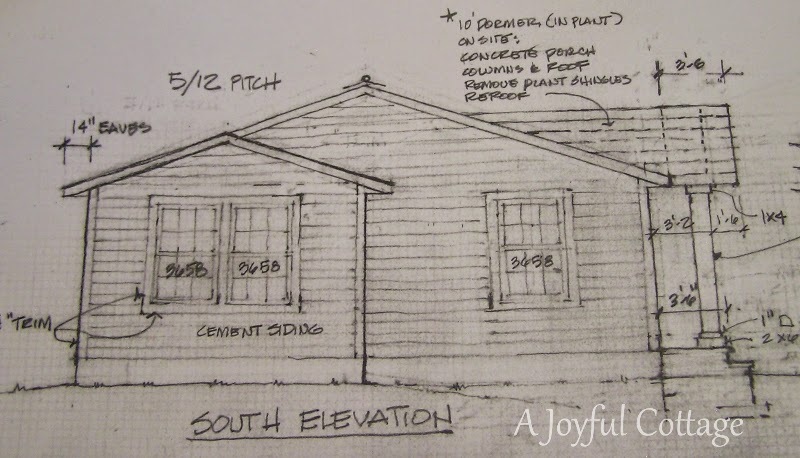 Today I'll give you a full look at Cottage #3-- the plan we were all set to go with until a couple of weeks ago -- and tell you why we changed our mind. This cottage is a 1, 197 SF single level, 3 bedroom 1 -1/2 bath manufactured home. Wait. Did you just read manufactured home? Yes, you did. That was our "alternative approach". To be clear, this is not a delivered off-the-lot manufactured home. It's a custom designed manufactured home on a permanent foundation. While house hunting last year we had toured several manufactured homes in our price range that were very nice. In fact, they were nicer and often larger than some stick built homes priced much higher. Still, I had my heart set on a cottage. It's been my life long dream. A manufactured home, while nice and affordable, was. . .well, it just wasn't what I envisioned. And so we kept looking at homes for sale that fit into the cottage category in our price range. And they all needed work. Lots of work. Which equates to spending lots of cash to renovate. A new manufactured home typically costs about 1/3 less than a stick built to construct. I can tell you a lot about them: the many differences, the positives, the negatives, how because of governmental standards they're often built better than conventional homes, etc. I'll save that for another time, though. We talked to Kit Homebuilders West and toured their manufacturing plant. The quality was right, the price was right, but could we have their MH built our way to make it look like a cottage? Could Kit build a custom home for us? They said, "Sure, we can do that, as long as you stay within the manufactured plan's footprint." 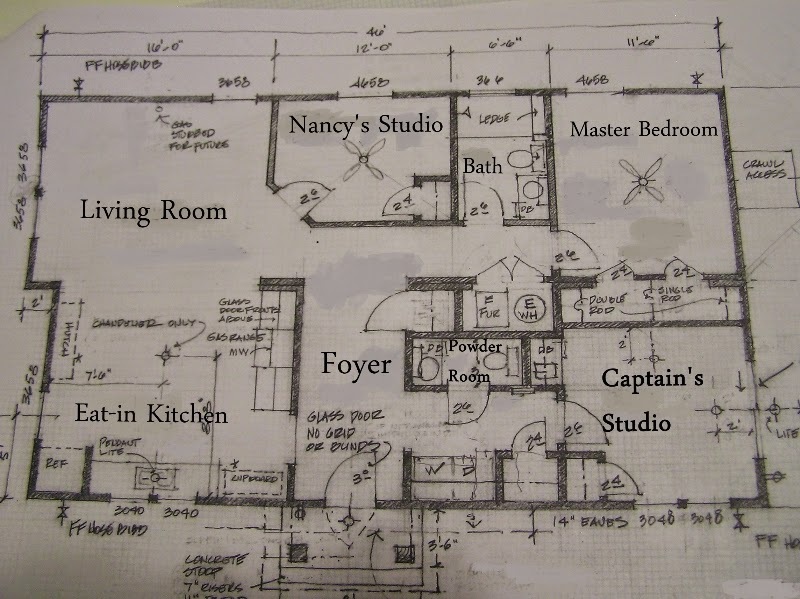 So, Captain put on his architect hat and began working to make one of their models look like a "Nancy cottage". Many consumers complain that manufactured homes look like mobile homes. One reason they do is because the roof pitch is so low. The typical MH has a 3/12 pitch. Captain raised the roof pitch on the manufactured home to 5/12. He also bumped out the living room 2', added windows with grids, and added a 10' dormer on the east side. All these tweaks kept the MH from looking like a rectangular box. The east dormer was part of our plan to add a small front porch after the home was delivered and set up on our lot. We specified a full glass entry door. A local carpenter would make and install a screen door with a touch of gingerbread. A flower box under the kitchen window added to the cottage look. To the far right is Captain's studio. The back of the cottage has an outside entrance to his studio. The front door enters into a foyer with the kitchen on the left and guest bath, laundry and Captain's studio on the right. The eat-in kitchen is almost identical to the Cottage #2 kitchen, except instead of an exterior door to the right of the sink there is room for a pantry cupboard, and there are two windows over the sink instead of three. The south window is larger, bringing more natural light into the room. Even though Captain did a great job of designing within the constraints of the model's footprint, the fact remains that there are only so many options available in a manufactured home, even with upgrades. For example, Kit offers beautiful wood cabinets, but none in white or other colors. I knew I'd have to be very creative in the kitchen if I wanted something different. 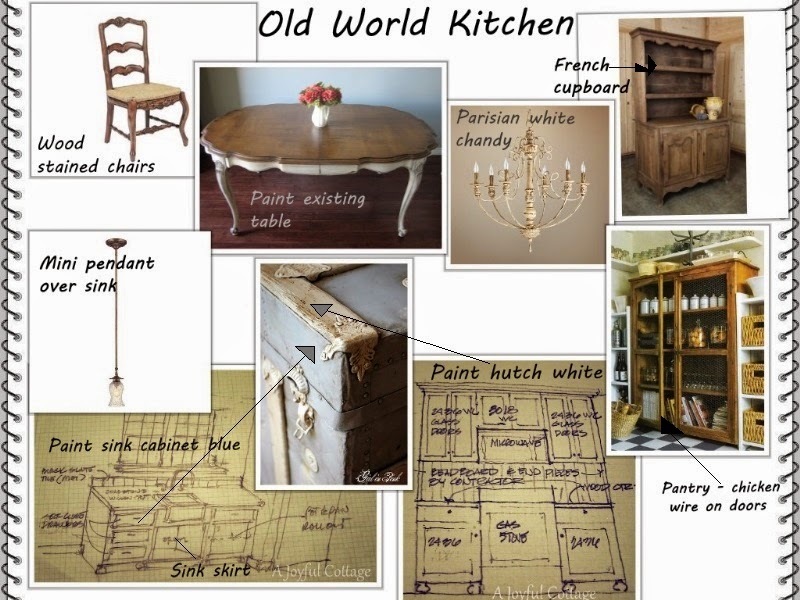 My concept for this kitchen was old world, and I wanted a mix of painted and wood pieces. The blue and white trunk you see in the photo was the inspiration for the cabinet colors. I planned to use the MH standard cabinetry with my own hardware to create the hutch for the range and sink cabinets, but I would have to paint the cabinets after installation, as the home comes with the kitchen complete. The rest of the kitchen storage would come by way of a free-standing pantry with chicken wire doors and a French cupboard. I also planned to have beadboard on the hutch back and furniture "feet" installed by a carpenter to give the installed cabinetry a free-standing look. The finishing touches were a skirt for the sink, a seeded glass mini pendant over the farm sink (the farm sink would be installed by a local plumber), a country french dining set (I already own a table similar to the one in the photo that I can paint, so I'd only need to buy the chairs), and a not-too-fancy chandelier. A humorous note here about my "not-too-fancy" chandelier choice. Captain took one look and it and said, "Wow. You're going fancy." Hmmm, he seemingly doesn't spend much time looking at the French inspired kitchens on the internet. If he did he'd understand how understated that chandelier really is. But I digress. The kitchen is open to the living room. Again, very similar to Cottage #2 except there's no pesky entry door opening into the room. Much better. The door to my studio is at an angle to add interest and soften the living room/hallway intersection. I had planned to use a french door there. The bath has a walk-in shower, and the master bedroom has a large closet separated for his and hers. Pure White for the trim. Because it's a manufactured home the finishing materials and colors are limited, thus I wouldn't have hardwood floors unless we installed them later. By the time we got through the entire design process we found we were almost to the cost of the stick built plans. Essentially, we were over-building a MH home. We weren't even sure it would appraise at the cost to build it. I'll be honest. . .it was depressing. This was supposed to be a happy event, but it wasn't. We knew we had to pull back. For two days we talked and prayed and listened for God's direction. On the third day we sat down together and Captain interviewed me just as he would an architectural client. 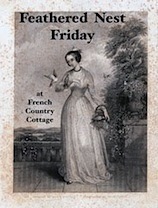 He began with the question, "You wake up in your new cottage. Now walk me through your day. . .what do you do next?" I'll share my answer with you and where it took us in our cottage plans later this week. I am happy to have found your great blog. I also love cottages and tiny spaces. 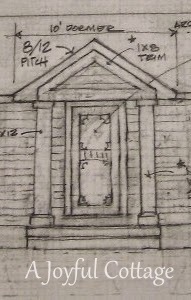 I have a very tiny home that is just 8 feet wide and 18 feet long with a 6 x 8 porch making it 8'x 24'. It has a full kitchen, a reading nook, bathroom with toilet and tub and shower and two sleeping lofts. You can do a lot with a tiny or small space and they are really so cozy. Looking forward to sifting through your blog posts. If you're going to build, build exactly what you want. Don't compromise!!! I can so identify! It is so hard knowing what you want and trying to make that happen without spending way too much. My sister lived in a manufactured home for years, it was huge and beautiful. She has lived in many houses since, nice houses, and she still talks about loving her MH. Do what YOU want to get the look YOU want at a price YOU can live with. It will be beautiful which ever way you choose. I also love that it has a studio for you and your hubby. I am hoping our future house will have a room for hubbys music and one for my sewing/crafts. Cannot wait to here more. Oh my, I know how you feel, there are so many choices to make..it can be so hard at times. In the end you will have your dream cottage and it will be so perfect! I can't wait to see it. I love the red barn color you have chosen for the siding. My cousin has a MF home in Az. and they love it. 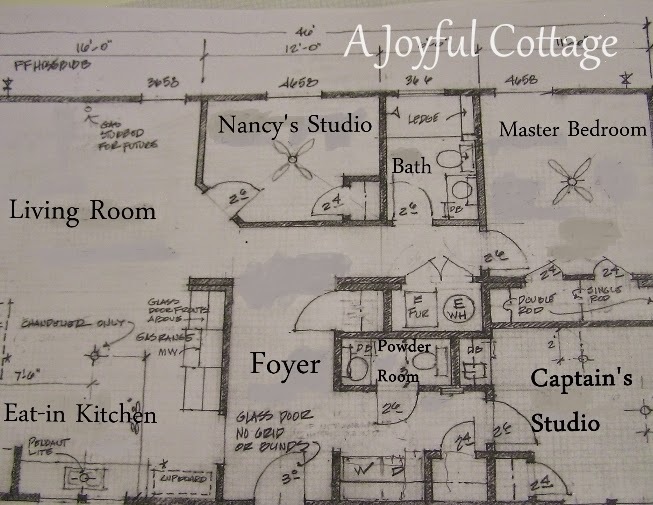 I love the plans for your cute cottage! HI Sarah. I'm so glad you stopped by for a visit. I hope you enjoy looking around here, and that you'll come back often. Blessings. I'm sorry to read that your Cottage planning is meeting some difficulties. But that kind of things never go smoothly. I have faith you'll have the right answer at the appropriate time. Thank you, Magali, you're very kind. It's been an encouragement to me to follow you through your kitchen remodeling and see how you deal with each decision. And now to see your finished kitchen is wonderful. Building your own home sounds very exciting, though it's obviously a very heart wrenching and complicated business. Not many people build their own homes in the UK, in fact I don't know anyone who has. 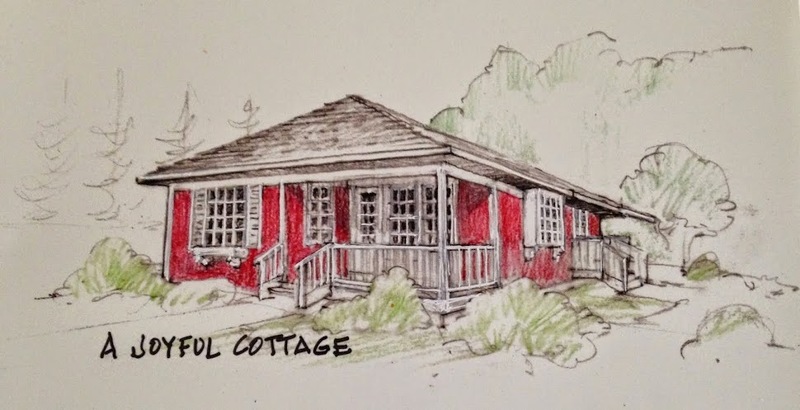 I love the look of your new cottage and your layout and I'm sure it will all work out in the end. It must be so difficult choosing and then having to change your mind again and think of another idea but one day you will get your lovely cottage! I believe I will some day too. I have a house and it is a ranch but it isn't like a true cottage style in my dreams. 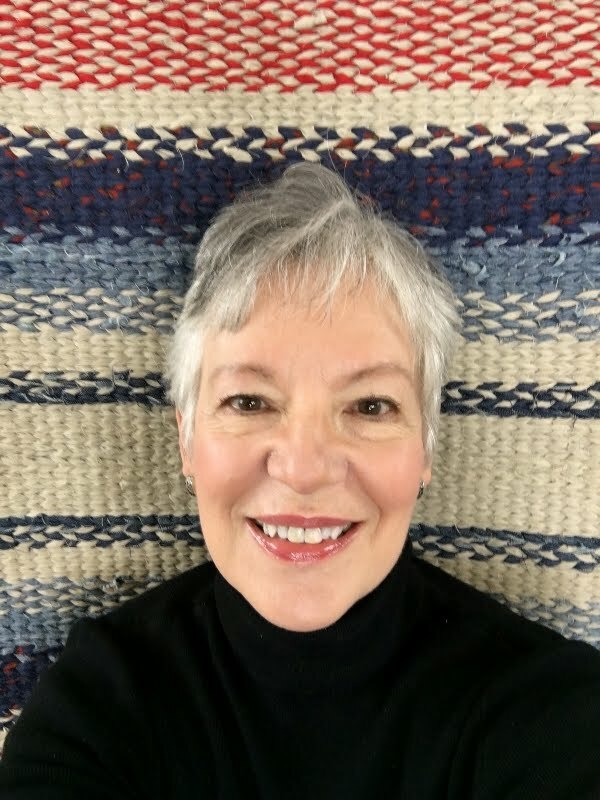 Hugs, and will be joining you on Facebook. This Is It . . . You'll know it for sure! 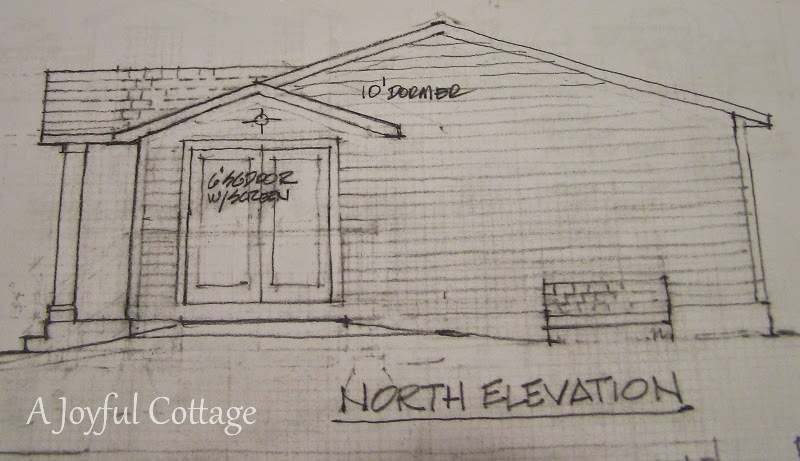 It took us 5 months to design our cottage, draw & submit all the views and building department paper work. 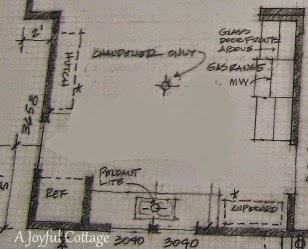 And our cottage is tiny & rectangular (since we'd never built anything ourselves before. Your husband has the right approach! Once you've found what you truly want, you can design it in. I look forward to following along with your cottage adventure! I tried to go modular when we built. We chose a modular company who insisted that customizing was their specialty. When the 3rd plan revision arrived in which they STILL could not fit a W/D side by side in a 12x12 empty room... and insisted I had to use a stackable, my confidence in them was shot. I say good for you for knowing what you want and getting it! It does sound like you had a bad experience. I think we'll be happier with a stick built home. Thanks for visiting. Just loving this whole process!! I'm glad, Stacey. It's nice to have the feedback. Have a great weekend. Manufactured homes have come a long way. Thanks for visiting, Kathy.